Quinoa-Rice-Lentil Pilaf / Khichadi | Can't Believe It's Allergy Free! What can be better than this fantastic combination of taste and nutrition. We have protein rich quinoa along with the easy-to-digest, vitamin, mineral and protein providing moog dal. Then there is the great comfort food, rice, which adds bulk and gives satisfaction. I add a good amount of veggies, whatever I have at home, to create balance and enrich the meal with additional vitamins, antioxidants and good fiber. This dish is a complete, balanced meal, and is so easy to make. Note: I make my own garam masala to avoid cross contamination with any allergenic ingredients. Heat oil in a large, heavy bottomed saucepan and add cloves and cinnamon sticks. When the water starts boiling, lower heat. 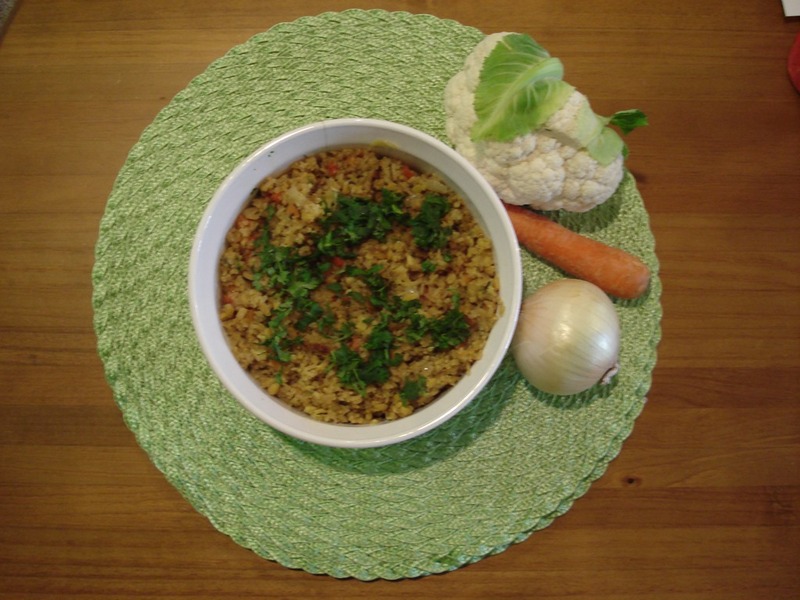 Let the pilaf/ khichadi rest for a few minutes before transferring into casserole or serving dish. Garnish with shredded coconut and cilantro leaves. Serve hot with cut onions, tomatoes / yogurt based raita.